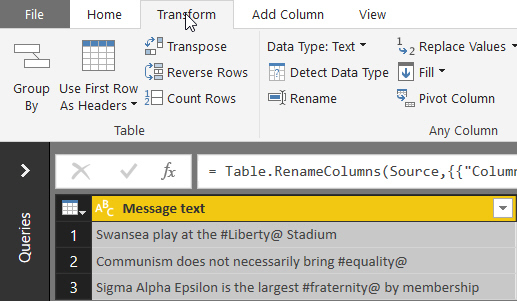 You want to extract the text between the # and @ characters. Choose the Transform tab on the ribbon. 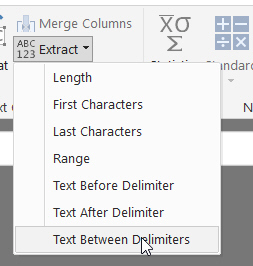 Choose to extract the text between two delimiters. 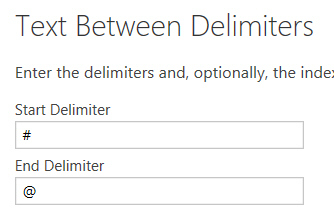 The delimiters to use for this example. The words between the delimiter spell out a Macronian message. Whether I'll ever use this I don't know, but it's still a nice idea!